We announced Analytify 2.0 about 2 months ago. We are happy to share we are almost ready. In this article, you will find important information about 2.0 and also an upcoming price change details. 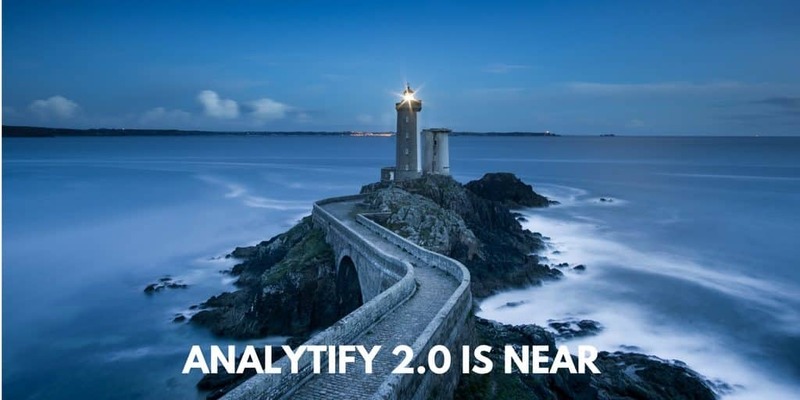 When is Analytify 2.0 Coming? This major updates could be very frustrating for the developer and the user for the wait-time. But we are finally ready to announce we are ready. We are doing last phase testing, you could call we are now on Release Candidate Phase, we are doing more extensive and large scale to test out all possible bugs, and make the update from 1.x.x to 2.0 absolutely 100% smooth. So, far in the test, it seems we are ready, and Analytify 2.0 is coming within a week. We released Analytify in WordPress.org about 2 years ago. Lots have changed in terms of the plugin, the development hour and also with both of our life (Asif & Adnan). Our understanding of where Analytify could go over the time has changed. This version 2.0 overhaul is something that we discovered necessary over the time. Thanks to our super amazing community from user to industry Leader, Enthusiast for giving valuable feedback. We received numbers of coverage, review and in-person feedback in various WordCamps that we attended over the year, gave us clear idea where the product should be. The Analytics verticle in WordPress changed a lot as well. And we have an urge inside Team Analytify to go beyond, to get Analytify in a stage where it becomes even robust, the look has to be more WordPress-native, has to be refreshed to reflect modern architecture. Overall this leads a unified Version 2.0. This version 2.0 is a unified core our of Analytify-Framework. This will let us develope Addons in more organized fashion. And we will have the ability to create a personalized solution and going beyond eCommerce, as we had WooCommerce Addon already. This lead us to a very long development cycle, we are originally working on this major version for over 6 months. The whole team has worked very hard, and we are very happy with the outcome. So, the Price Change is coming. This whole change in direction and the future plan has a very logical result, we will adjust pricing. I will not call it directly price-hike, as some of the bundle prices will become even more affordable, and we will still stay more affordable than other available solution, with far far less feature. The version 2.0 feature addition and change are well worth the changes, but we still want to give our existing user a heads up. You could still buy Analytify Pro and Addon at existing pricing and get locked at this price. Otherwise, our price will update with Analytify 2.0 release which is coming within this week. If you like Analytify and interested in Analyfity 2.0, but still using the free version, you should really consider getting Pro, and you will get 2.0 as a free update. We are increasing our basic affiliate commission from 10% to 20% for all existing and future Affiliates. Affiliates have always been very generous to us, and this is our way of saying thank you. We are pushing an update for our free version today, consider this as our last update before 2.0, you should immediately update to this version and stay prepared for 2.0. We expect a very smooth update experience on 2.0 release, but in the case of any issue, here are things you need to know. For this release, we will not allow any public beta test. If you are a Developer, and interested to contribute to this project, or interested to write/blog/review Analytify 2.0, we could give you early access, please contact us via our support page. Really like Analytify. However, having easy access to my stats isn’t worth an annual fee to me. On top of that, putting a giant animated gif of the pro features at the top of the dashboard does nothing but make me want to uninstall your plugin right away. Thankfully I can manually block that with my ad blocker. That said, I’d like to support you for a great plugin; is there a reason (other than the obvious financial one) why you don’t offer a non-recurring Pro upgrade? I am willing to pay once for a plugin, but I won’t pay annually.